Red Sox prospect David Renfroe is retiring from baseball at the age of 23, according to Salem Red Sox broadcaster Evan Lepler. Renfroe reached as high as 15 on the SoxProspects.com rankings in late 2009. Renfroe, drafted in the third round of the 2009 amateur draft, was a prized two-way, multi-sport athlete who was signed away from a commitment to the University of Mississippi with a $1.4-million bonus. Deciding to be an everyday player as a professional, Renfroe made his debut in 2010 with the Short-Season A Lowell Spinners, transitioning to third base after being a shortstop his entire high school career. In his debut season, the right-handed hitting Renfroe hit just .190/.267/.260 with two home runs and 13 RBI in 58 games. According to Joel Sherman of the New York Post, the Red Sox have signed left-handed reliever and Milton, Mass native Rich Hill (pictured) to a minor league deal. Should Hill make it to the majors he will earn a salary of $840,000, and the deal includes $500,000 in appearance bonuses. It also includes three opt out dates if he is not on the major league roster; one at the end of spring training, one on May 15th, and one on June 30th. 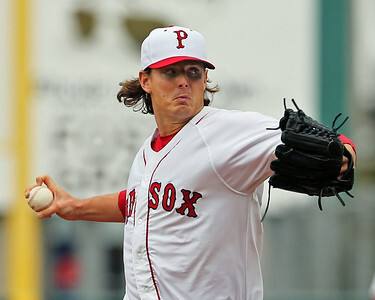 Hill previously pitched for the Red Sox and their affiliates in 2010, 2011, and 2012, but had to have Tommy John surgery on June 9th, 2011. 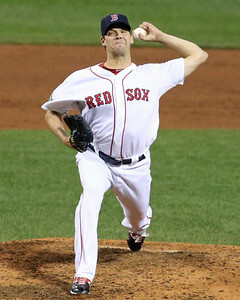 He recovered well and went on to throw 18 2/3 innings in 2012 with a 1.83 ERA as one of the few bright spots during a very tough Red Sox season. Former major league catcher Joe Oliver will rejoin the Red Sox organization as the manager of the Short-Season A Lowell Spinners, the team has confirmed. It will be Oliver's first managerial stint in professional baseball. Oliver spent the bulk of his 13-year major league career with the Cincinnati Reds, winning a World Series ring in 1990, and he finished his career with the Red Sox. Oliver has been out of professional baseball since his retirement as a player following the 2001 season. In his short stint with Boston at the end of the 2001 campaign, Oliver went 3 for 12 in five September appearances. The career .247 hitter is best remembered as the starting catcher on the 1990 World Champion Reds. Oliver started all four games of the sweep of Oakland, driving in the winning run in the 10th inning of Game 2 off of Dennis Eckersley. 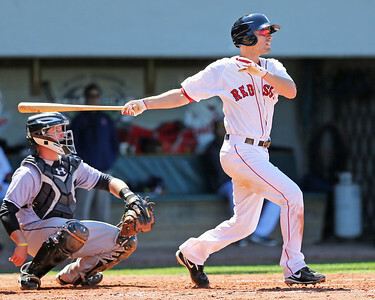 According to Chris Cotillo of MLBDailyDish.com, the Red Sox have signed catcher Michael Brenly to a minor league deal. Brenly, 27, started his 2013 season in the Chicago Cubs organization before he was released in April without playing a game. Brenly was then signed by the Arizona Diamondbacks in May, and was subsequently shipped to Triple-A Reno. He batted .118/.167/.176 in 18 plate appearances with the Aces over eight games, which spanned from May to August. Originally drafted by the Cubs in the 36th-round out of the University of Las Vegas in the 2008 draft, Brenly had spent five seasons in Chicago's system prior to his April release. The 6'3", 250-pound California native reached Double-A in his final season within the Cubs organization in 2012, during which he batted .227/.295/.342 in 300 plate appearances. With most leagues in championship mode, few Red Sox prospects made appearances for their teams this week. This week's roundup covers Jan. 20-26. Nate Reed received the start for Hermosillo on Friday, tossing 5 2/3 innings, allowing four runs on nine hits and four walks, striking out four. Hermosillo currently leads Navojoa three games to two with a chance to clinch the series on Tuesday. The Red Sox have signed left-handed reliever Jose Mijares to a minor league contract that includes an invitation to spring training, reports Ken Rosenthal of Fox Sports. Rosenthal adds that the deal includes an opt-out date in March, while Zach Links of MLB Trade Rumors reports that the deal includes a $1 million incentive if Mijares makes the major league team. Baseball America's Jerry Crasnick is reporting that outfielder Scott Cousins has agreed to a minor league deal with the Red Sox. 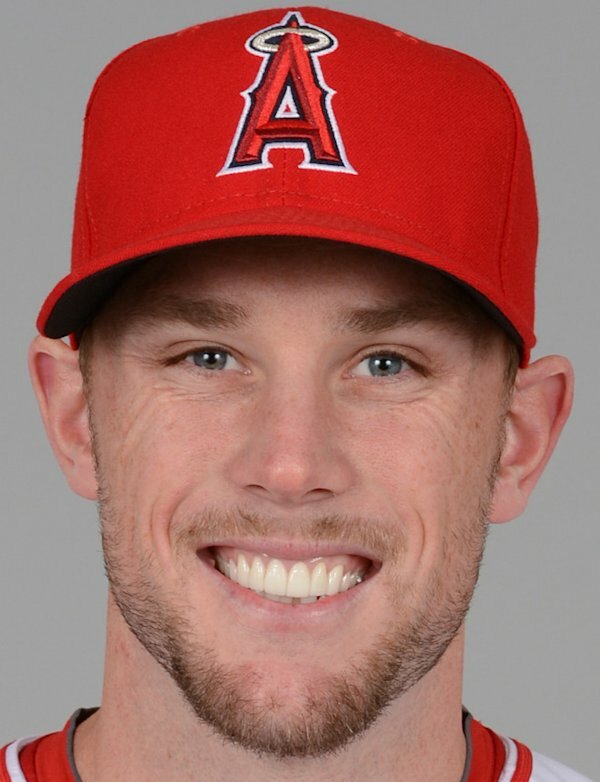 Cousins, who turned 29 on Wednesday, spent last season in the Los Angeles Angels organization where he appeared in 52 games for their Triple-A affiliate the Salt Lake Bees. He batted .233/.310/.306 with one home run and seven stolen bases. He also appeared in seven games with the big league club, coming in mostly as a pinch hitter or defensive replacement. Cousins is most well-known for his collision with Buster Posey in 2011, in which Posey suffered a broken leg and strained ankle ligaments. BOSTON, Mass. — Tommy John surgery has become old hat to baseball fans these days. So common is the procedure that when a player like Rubby De La Rosa goes under the knife, fans treat it as routine, something akin to a one-year, one-time restorative vacation, after which the pitcher comes back rejuvenated and better than ever. But as our own Jon Meoli has written, it is not that simple. Just ask De La Rosa himself. The Dominican right-hander underwent the procedure on August 9, 2011, but speaking recently at the New Stars for Young Stars fundraiser, he said that this offseason is the first since the surgery in which he feels completely healthy. The Red Sox have announced a deal with right-handed reliever Jose Valdez on a minor league contract. Valdez, 31, made 24 major league appearances for the Houston Astros between 2011 and 2012, posting a 5.88 ERA and 1.692 WHIP across 26 innings. The 6-foot-4, 200-pound righty was originally signed by the Yankees out of the Dominican Republic back in 2000. In 2002, Josh Boyd of Baseball America considered him to have the highest ceiling in the New York system. However, ineffectiveness and an injury that cost Valdez the entire 2005 season stunted his early development. He returned in 2006, pitching exclusively out of the bullpen, and has now logged 321 career minor league appearances. BOSTON, Mass. — From an embarrassing run-in with the law down in spring training, to starting in Portland then relieving in Boston with just one Pawtucket start in between, it's safe to say Drake Britton's 2013 season was a whirlwind. But you will not hear him complain; reaching the major leagues represented the fulfillment of the left-hander’s lifetime dream. "I was definitely really nervous," Britton said of his major league debut recently at The Jimmy Fund's New Stars for Young Stars fundraiser. "There was a lot that I was thinking about: This is what I had dreamed of, what I had been working for my whole life, and it was finally coming true. So it was an unbelievable feeling, one that I'll never be able to explain." Though he had just four relief appearances in his six years spent in the Red Sox system, all in piggyback starter situations, he was called upon to fill a bullpen role in the big leagues in mid-July when the club was juggling its roster due to injuries. He pitched a scoreless ninth inning against the Yankees in his debut on July 20, and adapted to the role well enough that the club never sent him back down to Triple-A to work on the transition, as it has done previously with other pitching prospects moved to the bullpen. One under-the-radar method for teams to add organizational depth each offseason is through minor-league free agency. There are three different types of minor-league free agents: (1) players who have completed their initial seven-year minor-league contract without re-signing or being added to the 40-man roster; (2) players who are outrighted to the minors but elect minor-league free agency in lieu of accepting the outright assignment (to be eligible, players must have at least three years of major-league service time or been previously outrighted); and (3) minor leaguers who have been released. Additionally, major-league free agents unable to land a major-league deal can sign a minor-league deal. If a player on a minor-league deal later proves worthy of being added to the big club, his contract is purchased by the major-league club and is added to the 40-man roster. The calendar for minor-league free agency generally is early November to early March. As Spring Training draws closer, the winter leagues have entered the final stretch, with most leagues playing the championship series this week. A few Red Sox prospects have a chance to win a title, and figure to play prominent roles. This week's roundup covers Jan. 13-19. Keury De La Cruz was the only Red Sox prospect to appear in the playoffs this week, going 1 for 3 in an Aguilas victory on Thursday. He also came in to the game as a pinch runner on Friday and went 0 for 1. The Red Sox announced eight players who will attend Major League Spring Training as non-roster invitees. The list includes three prospects currently ranked among the top 10 in the organization: catcher Blake Swihart, left-hander Henry Owens, and righty Matt Barnes. Each will be attending Major League camp for the first time, as will right-handers Noe Ramirez and Dalier Hinojosa, first baseman Travis Shaw, and utility man Heiker Meneses. 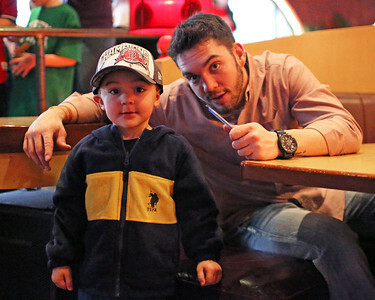 Shortstop Deven Marrero, Boston's top pick in the 2012 draft, has been invited for a second straight year. No guest this week, but an action-packed episode nonetheless! Chris and Matt play some audio from interviews with Blake Swihart, Mookie Betts, and Drake Britton from New Stars for Young Stars, and along with Ian, get back to the inbox with more than a month of emails to answer. Questions hit on players changing positions, how the current crop of pitching prospects compares to past groups, the Rookie Development Program, and more. And in this episode's Where Are They Now?, we covered the prospects in the Erik Bedard trade. BOSTON, Mass. — It is not often that a player in A-ball makes his presence felt at the major league level. But that is just what happened this offseason with Blake Swihart as the Boston Red Sox waded into the pool of available free agent catchers. With incumbent starting catcher Jarrod Saltalamacchia a free agent and returning backup David Ross signed only through 2014, one could have seen the club deciding it prudent to spend the cash to either re-sign the former or some other free agent to a long-term deal, such as Brian McCann or Carlos Ruiz. Instead, the club opted to sign A.J. Pierzynski for just one year. The message was loud and clear: The team believes there’s a good chance its future at the position lies in the 21-year-old Swihart and his 23-year-old counterpart in Portland and Pawtucket this past season, Christian Vazquez. With Vazquez likely one year away and Swihart hopefully needing just two, a multi-year outlay to a veteran could have blocked the position. 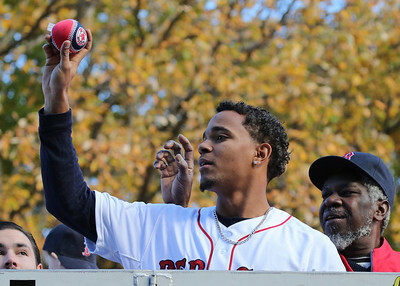 BOSTON -- By no means is it a stretch to say 2013 was a breakout campaign for Red Sox prospect Mookie Betts. The athletic second baseman went from being ranked outside of the SoxProspects.com Top 40 entering the season to now residing at spot No. 10 on our list in a loaded farm system, picking up the site’s Offensive Player and Breakout Player of the Year awards along the way. Betts was taken out of high school as a raw four-sport athlete in the fifth round of the 2011 draft. 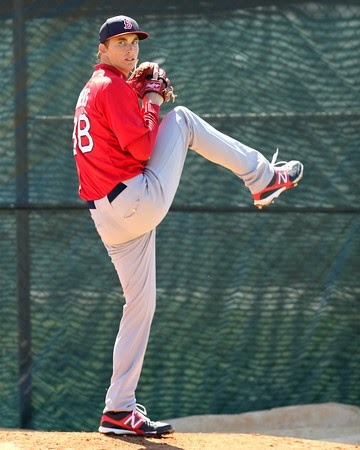 He played very little that season, and spent 2012 in extended spring training and Short-Season A Lowell. Though he batted .267/.352/.307 in 71 games that season, he came on strong in the second half after moving from shortstop to second, and many saw him as a having the potential to grow into a plus defender at second with an excellent approach at the plate and good speed on the basepaths. But the 5-foot-9, 156-pound Betts was considered anything but a power threat at the time. He did not even hit his first professional home run until this past spring with Low-A Greenville. However, that first one came in just his fifth game of the season, and he never looked back, finishing the season with 15 longballs totaled across two levels, while hitting a cool .314/.417/.506 in 127 games. One month and two days. That’s all that stands between the Red Sox and the date their pitchers and catchers are supposed to report to Fort Myers, Fla., as they begin their title defense. But for now, the remainder of the offseason leagues will suffice for action-starved baseball fans. In most of those leagues, the playoffs continued last week as the number of Sox minor leaguers seeing time continues to dwindle. This week’s roundup covers Jan. 6-12. J.C. Linares went 3 for 4 with a run while playing in two of Zulia’s five games. He saw one at-bat in right field in the first game, then had three plate appearances as designated hitter the next day before not playing in the final three contests. His team, Zulia, is 1-7 in round-robin play. BOSTON, Mass. 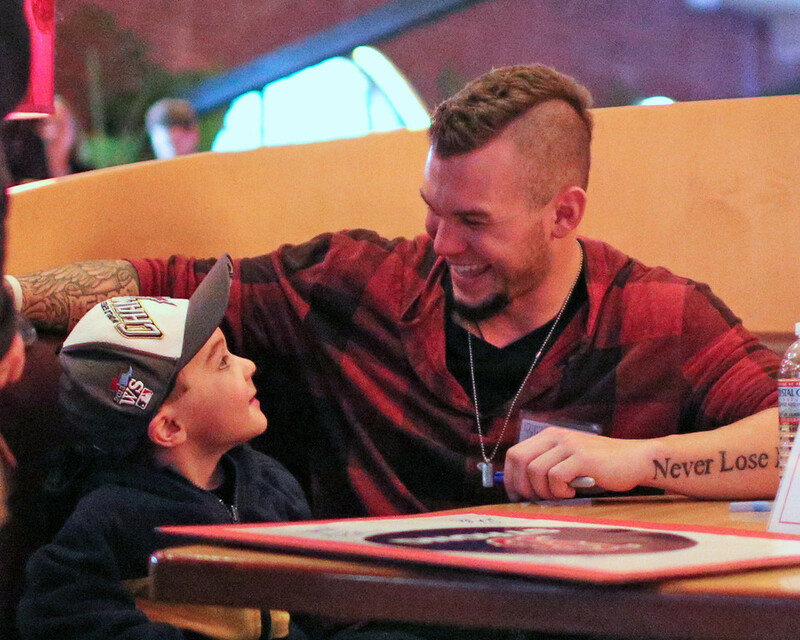 -- Saturday was the ninth New Stars for Young Stars event at Jillian’s Boston, the annual Jimmy Fund fundraiser that gives fans a chance to meet and get autographs from some of their favorite Red Sox players, present and future. Prospects in attendance were pitchers Drake Britton and Rubby De La Rosa (pictured) along with infielder Mookie Betts and catcher Blake Swihart. Newly signed Red Sox catcher A.J. Pierzynski was also in town for the event. There were autograph sessions, a silent auction, and a bowling contest to help strike out cancer during the main event, but the real charity went on behind closed doors beforehand. 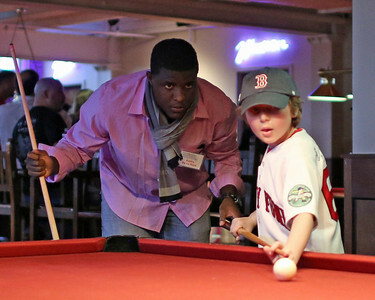 In the morning, the players mingled and shot pool with patients from the Jimmy Fund Clinic and their families. 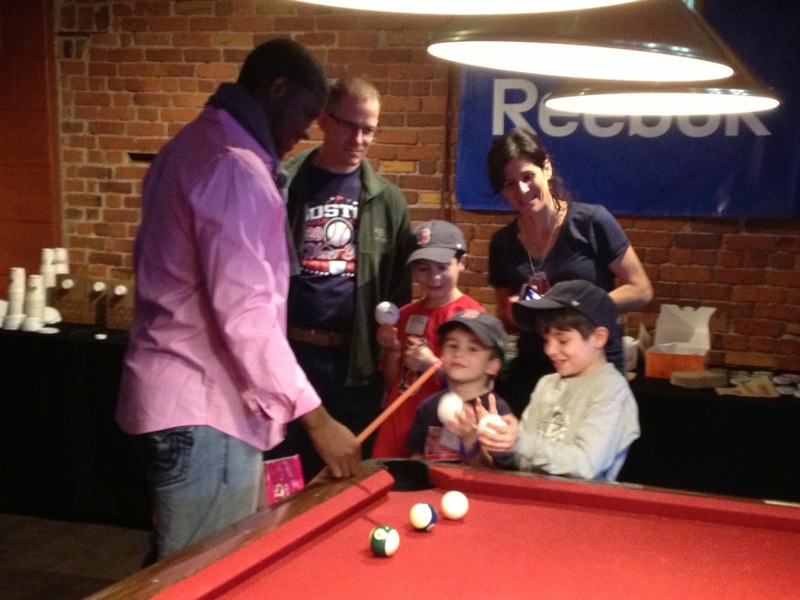 Wally the Green Monster even made an appearance to shoot pool and take pictures. 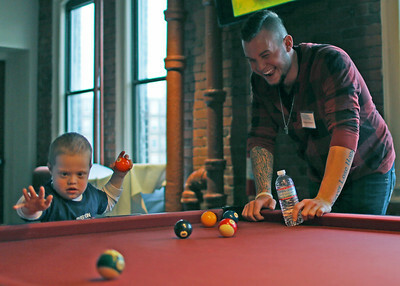 "It's a great event for the kids to be out here," Britton said. "I think it gives them some ease from the pain or whatever they're going through. It's also good for us, and the people who run it, to see them smile brings a smile to our faces. So it's good for both of us." According to Alex Speier of WEEI.com, the Red Sox have invited right-hander Hideyoshi Otake to minor league spring training. Otake, 25, spent last season pitching for the Toyama Thunderbirds in the Baseball Challenge League in Japan. He went 1-5 with a 2.23 ERA in 46 appearances, collecting 17 saves. Hideyoshi struck out 47 in 44 1/3 innings pitched, walking 16. Otake was one of over thirty players who attended a workout held by the Red Sox in November for players from the Baseball Challenge and Shikoku Island League. Tickets are still available for the ninth New Stars for Young Stars fundraiser, taking place this Saturday at 11:00 AM at Jillian's Boston. 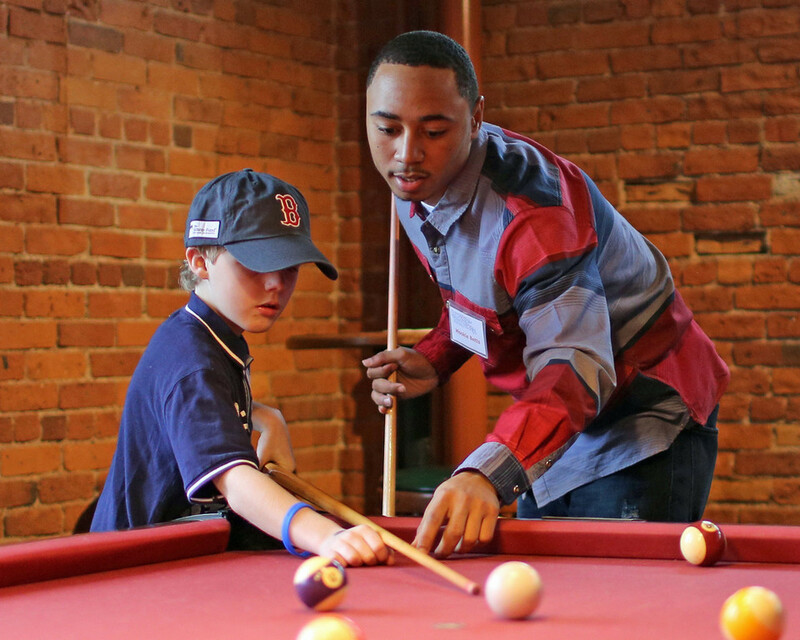 The annual event benefits the Jimmy Fund and features some of the top young prospects in the Red Sox system signing autographs in a meet-and-greet style format. The lineup includes SoxProspects.com Offensive Player of the Year Mookie Betts, Blake Swihart, Drake Britton and Rubby De La Rosa. 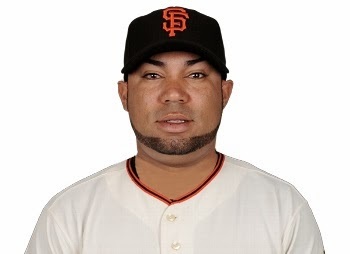 New Red Sox catcher A.J. Pierzynski will also be in attendance. Aside from the autograph session, there will also be a bowling competition, buffet lunch, sports memorabilia sale and silent auction. Tickets, which can be purchased here, start at $89, and VIP tickets are $250. All proceeds will go to the Jimmy Fund. The first eight editions of "New Stars for Young Stars" have raised more than $221,000 for the Dana-Farber Cancer Institute and the Jimmy Fund. According to Matt Eddy of Baseball America, the Red Sox have re-signed minor league free agent Justin Henry (pictured) to a minor league deal. Henry, 28, was acquired from the Detroit Tigers in December of 2012 in exchange for Jeff Kobernus. 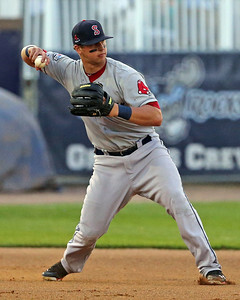 In 2013, Henry spent the entire season with the Pawtucket Red Sox, hitting .210/.294/.286 over 409 plate appearances. His 2013 stats do not show it, but Henry's strong points are his speed and on-base ability, posting a career .362 OBP over seven seasons, though he has well below-average power managing only six career home runs. The Red Sox have set their yearly Rookie Development Program for January 13 through 18 in Boston. 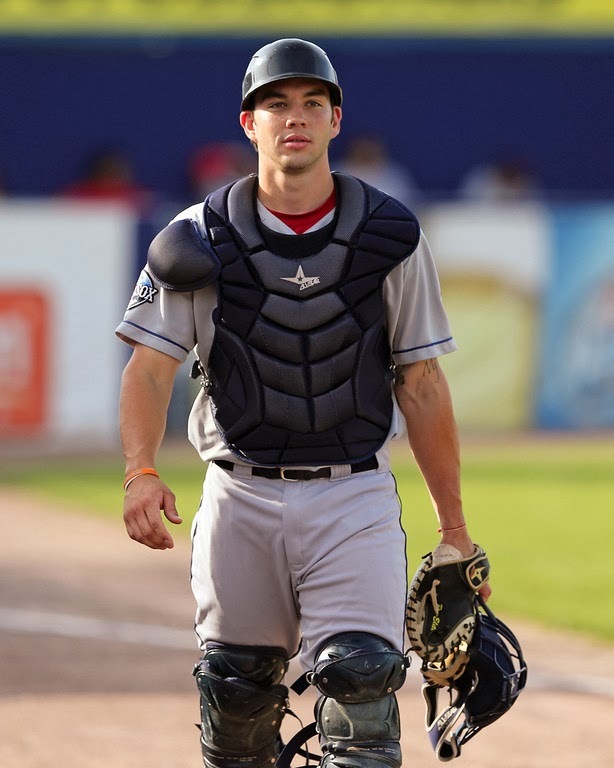 Ten prospects have been invited to participate in the program, reports Alex Speier of WEEI.com: pitchers Henry Owens, Anthony Ranaudo, Matt Barnes, Dalier Hinojosa, and Noe Ramirez, catchers Blake Swihart (pictured) and Christian Vazquez, first baseman Travis Shaw, shortstop Deven Marrero, and third baseman Garin Cecchini. The annual program helps players that may debut within the next year deal with the physical and mental parts of playing in the major leagues, while getting them better acquainted with the big league staff and the city of Boston. Along with workouts, the camp includes classroom sessions on topics such as dealing with the media, money management, alcohol, drugs, and umpire relations. Be sure to check out the Baseball Prospectus Red Sox Top 10 Prospects list (subscription required). With the regular season coming to a close in most of the offseason leagues this week, Red Sox prospects began to star for their prospective squads in the playoffs. This week's roundup covers December 30 through January 5. The round-robin playoffs are currently in progress with Escogido leading the way with a 6-2 record. The only Red Sox player to see time this week was Licey's Rubby De La Rosa, who faced three batters, allowing a walk, sacrifice bunt, and a three-run home run to take the loss against Escogido on Friday. With the Northeast bracing for another winter storm to start the new year, what better time to check in on how Boston Red Sox major and minor leaguers fared in the various fall and winter leagues around the globe? The four major Caribbean winter leagues have finished their regular seasons, making the turn of the calendar an ideal time to take stock of the players whose seasons extended beyond September. As always, one key thing to remember in the fall and winter leagues is that performance often takes a back seat to other developmental goals. Some players may be working on particular skills, or learning a new position/role. For others who have missed time due to injury, simply replacing missed repetitions is beneficial enough. And even for those who fall in neither group, sample sizes from the fall and winter leagues are small enough that reading too much into the stats would be silly -- 60 at-bats or 15 innings pitched do not erase what just happened over the five-and-a-half month regular season. It's that time again, and we'd like to wish a happy new year to all of our readers! Once again, we had our best year yet here at the website, one that has us excited for what's ahead in 2014! Here at the site, we celebrated our 10th anniversary, both started the year and finished it by adding to our ownership team, and of course, celebrated another Red Sox World Series victory just like everyone else. It has become an annual tradition for us to count down our top 10 posts from the News Page from the past year by pageviews. We admittedly had a few surprises on here, but hey, you're the ones who are clicking the links! In a new feature this year, we'll also close out the piece with links to our most popular podcasts (and by the way, you can expect a new one to go up by the end of the week). Thanks again. Cheers to a great 2014! "I just wanted to keep the same approach and not try to do too much because that can make you get into a funk. I've been hitting good lately, so I was just trying to do the same thing -- be patient. I was really patient today."